Fragrant dillgrowing in the garden, appealing aroma. But to grow this spice plant can be at home in the winter time. As dill undemanding plant to grow it will turn out that everyone wants. And when the Blizzard and the cold, you can always rip a fragrant sprig and remember the summer. To grow dill is best in large boxes, to the roots enough place, otherwise the plants begin to turn yellow and disappear. Buy plastic boxes with trays and peat for vegetable crops. To use earth from the garden undesirable, as it is often depleted and lacking nutrients necessary for proper growth. Fill the boxes with earth and gently pour water. Thickly sow seeds of dilland sprinkle them on top of a thin layer of soil. Again pour water and cover the capacity of the cellophane wrap. Three days to open the boxes don't need, this time is enough to germinate seeds. If they sprouted a few days after planting, then you planted them too deep. 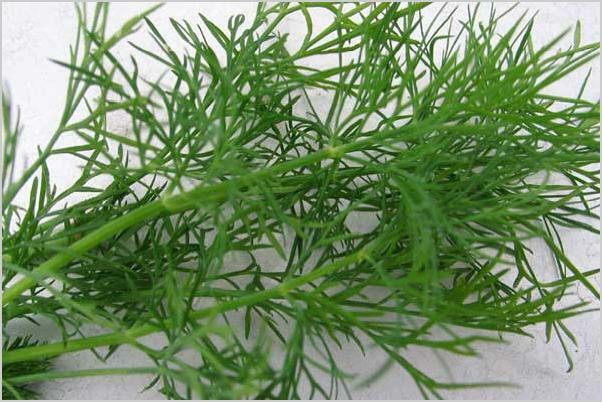 Wait shoots a week if they did not appear, plant dill again in the same land. The dill though, and loves the sun, but it can grow in the shaded part of the house. Place a container with stops in the most ideal location but better still closer to the window. If you have large window sills, you can place the herbs on them. Don't forget to water the fennel cool water as the soil is drying out, about once every 2-3 days. Approximately 25-40 days you will grow a full crop, but to pick young twigs can be significantly earlier than this. If you begin to notice that green is yellow, dissolve some urea in water and pour over plants. Urea improves the growth of the it greenery, to use a different fertilizer is impractical. When the fennel will be hard, sow it again, but it should be done in fresh soil. If you plant the same, the plants will be weak due to lack of nutrients. To grow dill in the boxes is possible not only in winterbut also in summer. In the same way can grow, and other useful herbs, which are so necessary to man all year round.